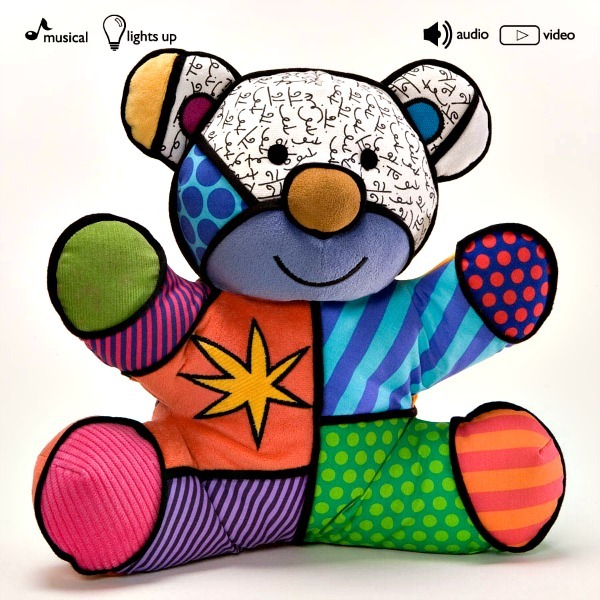 Britto Plush Canvas Musical Christmas Bear from Enesco. 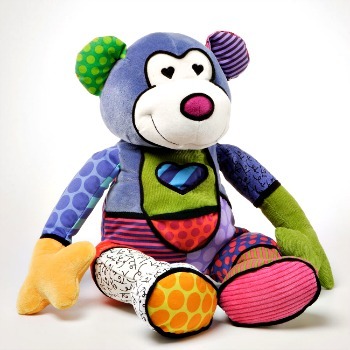 Measures 11"H. Battery Operated 3-AAA Included, Blinking Lights, Musical, On Off Switch, Surface washable. Plays "Deck the Halls." 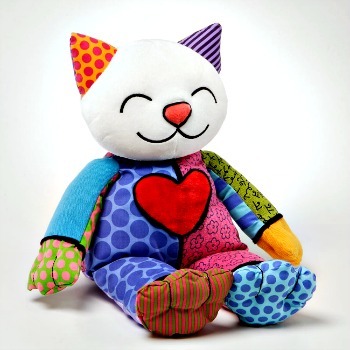 World renown for his bold patterns optimistic design and colorful palettes Romero Britto's iconographic pop art comes to life in huggable Pop Plush.